Spend the day traipsing through Central Park or watching the stars on Broadway in Times Square. 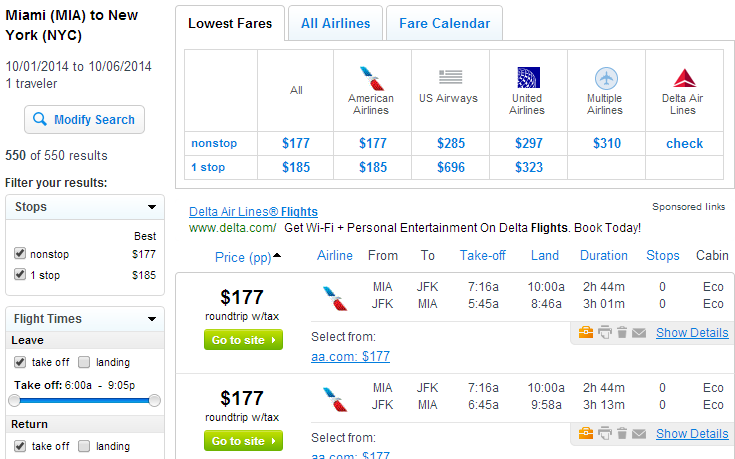 Travelers can save up to $100 on flights when snagging a fare for $177 for flights between Miami and New York City. Save up to $100 compared with current fares.